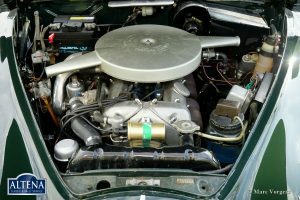 Jaguar Mk II 3.4 Litre, year 1963. 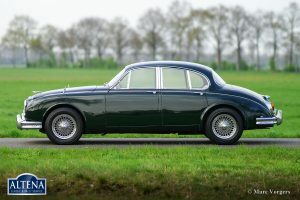 Chassis number: 1611XX. 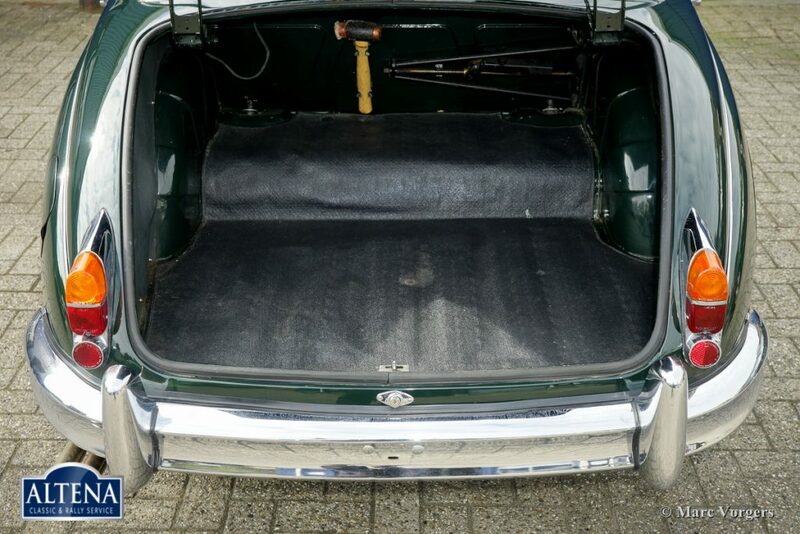 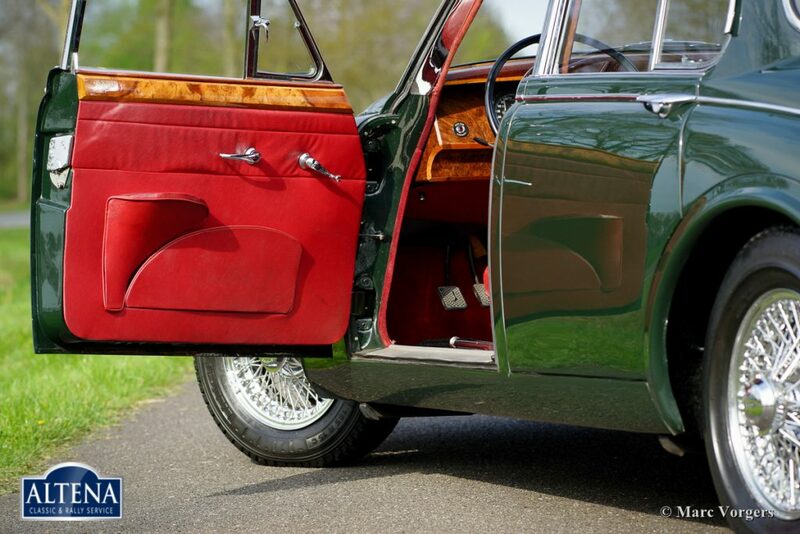 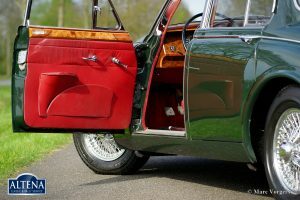 Colour British Racing Green with a red leather interior and red carpet. 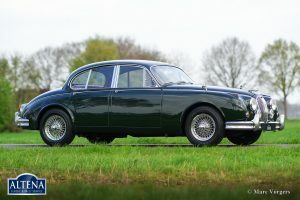 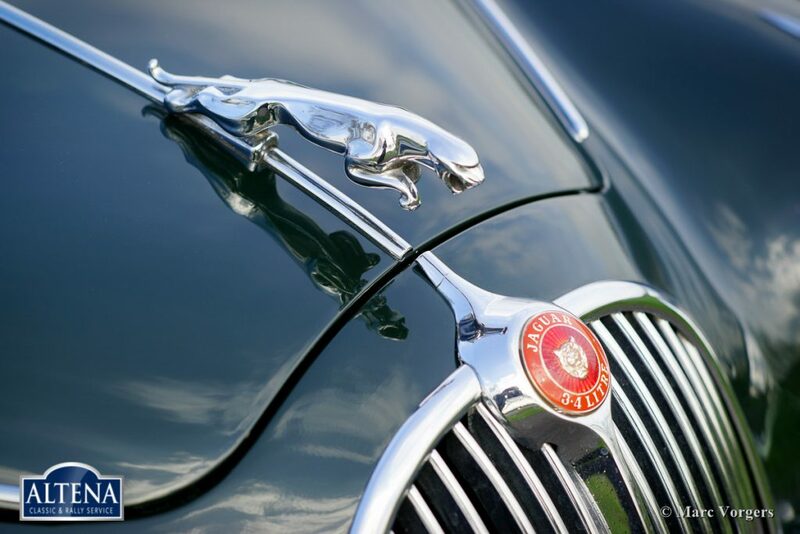 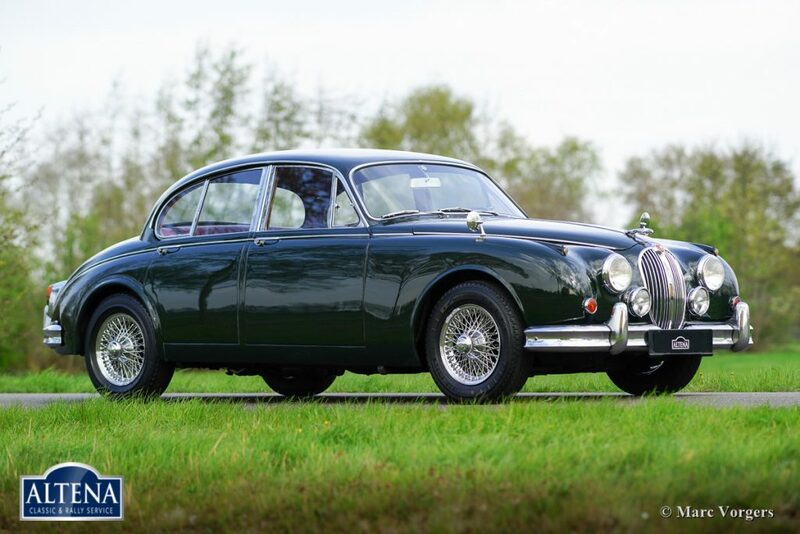 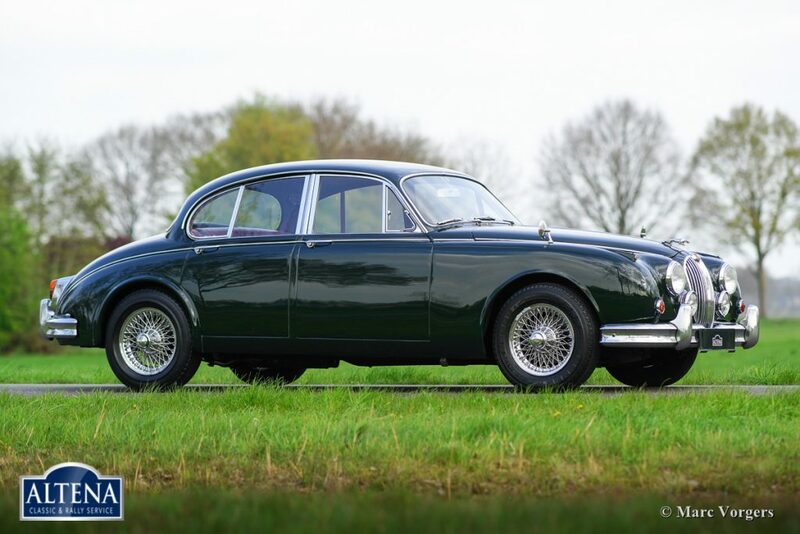 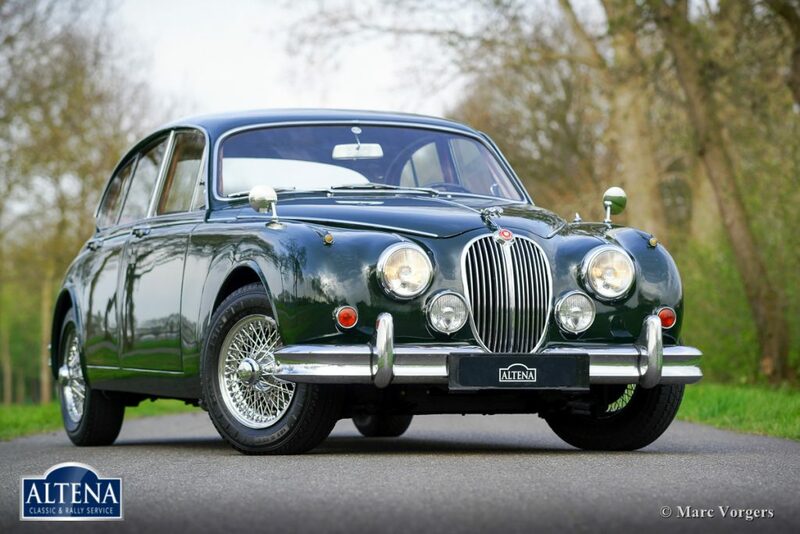 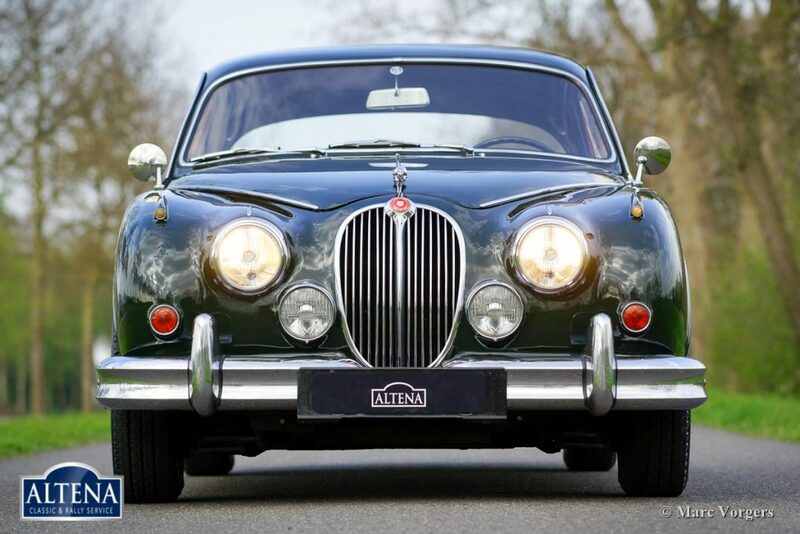 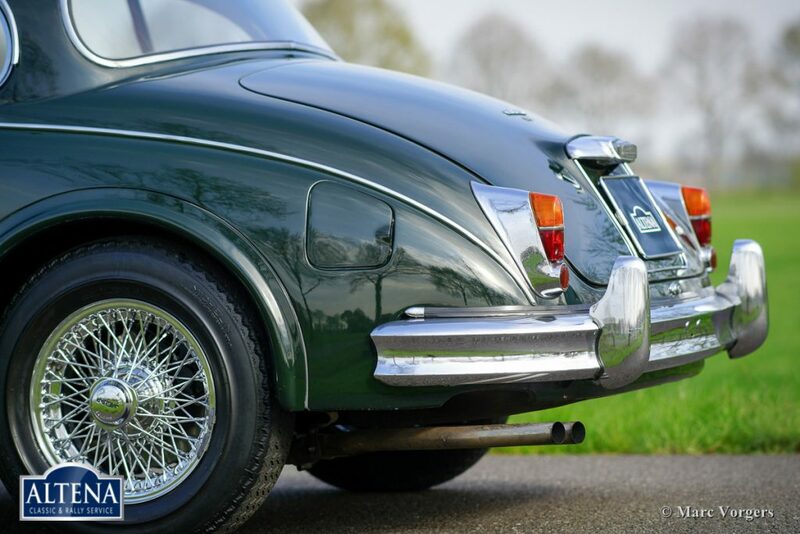 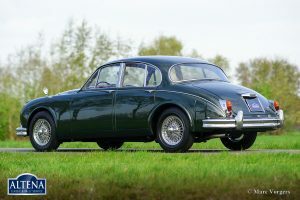 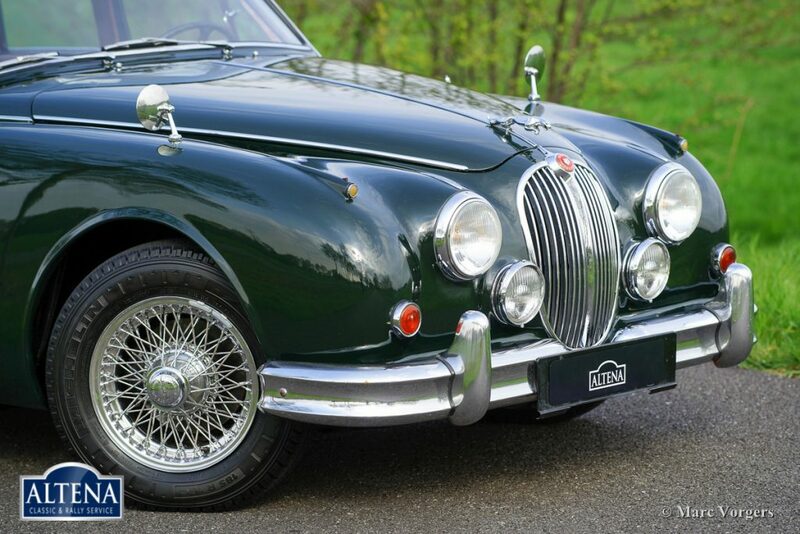 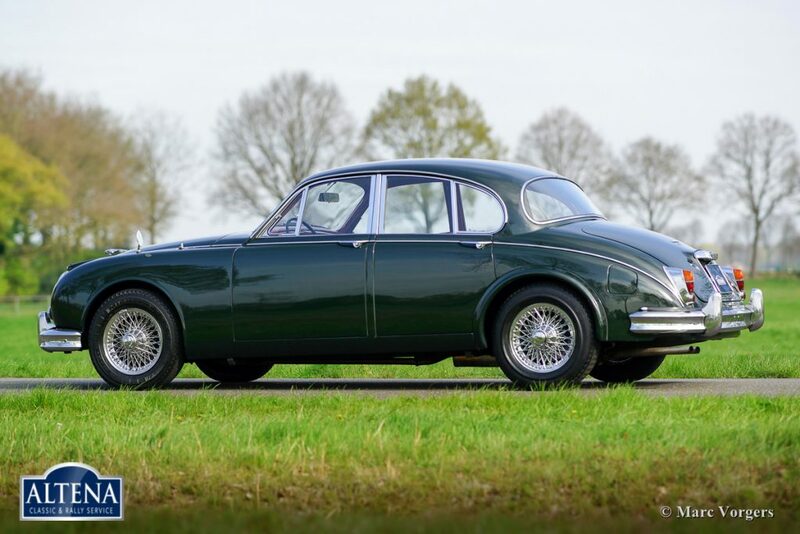 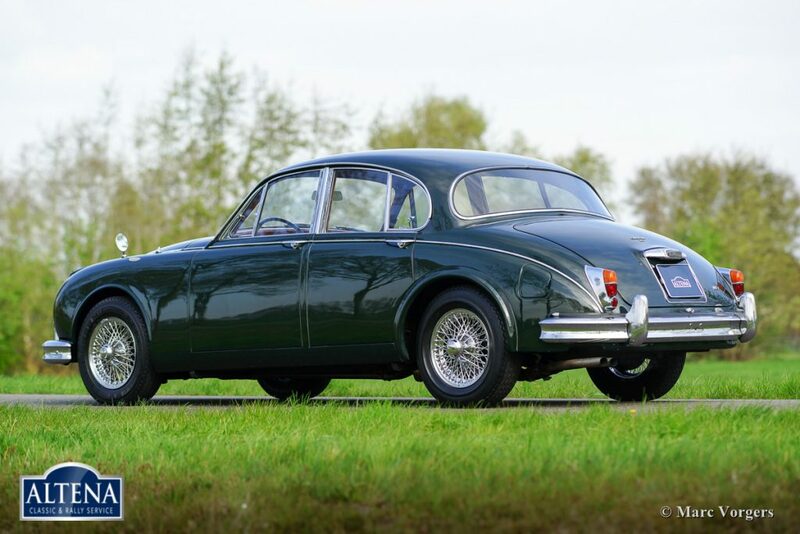 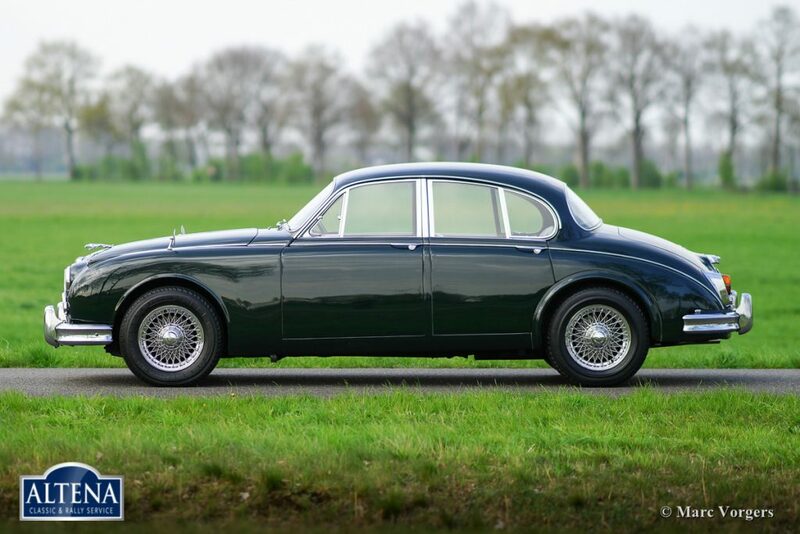 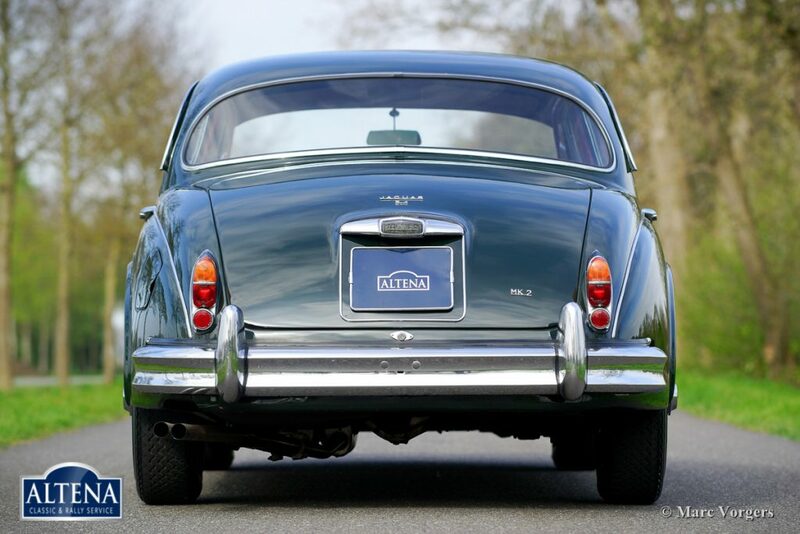 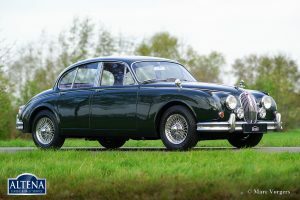 This beautiful and stylish Jaguar Mk II is in a very good and very original condition. 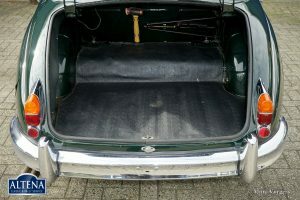 The bodywork has been restored and has been painted perfectly. 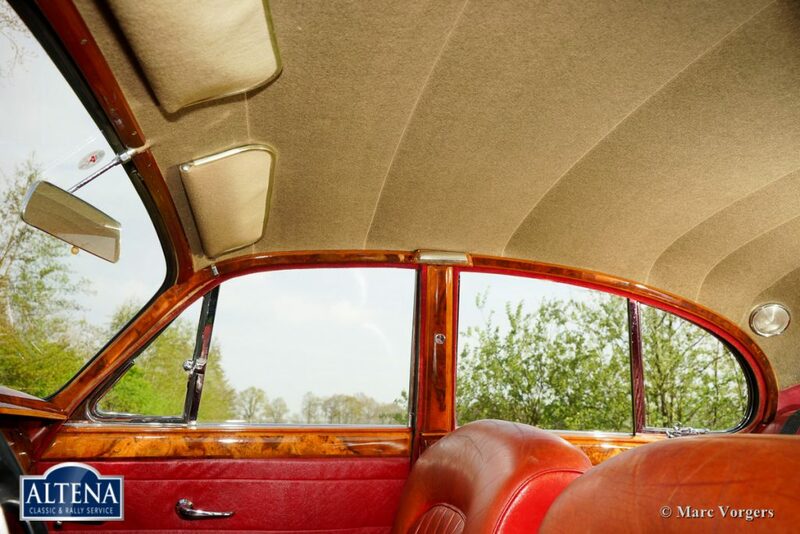 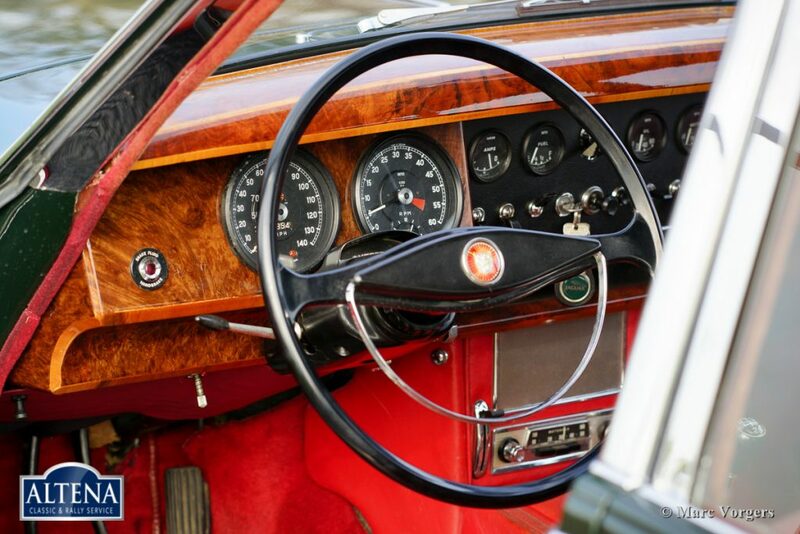 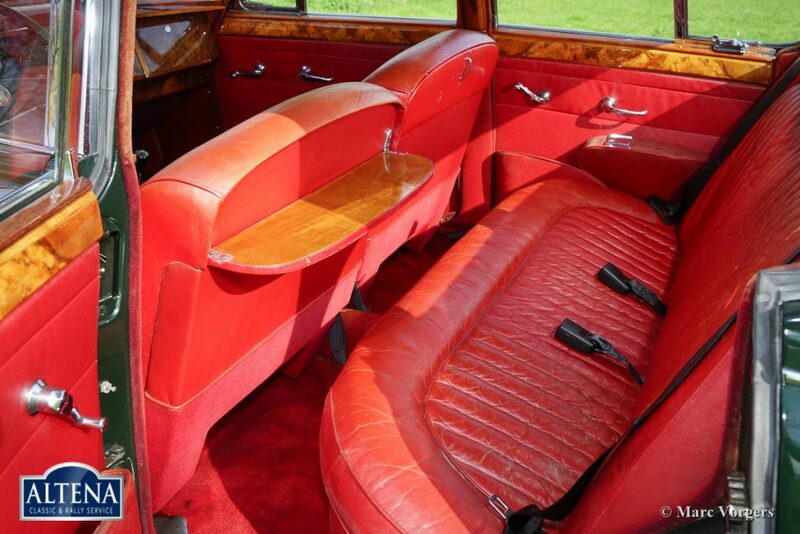 The interior is fully original with beautiful wood-work, excellent door-panels and roof-lining. 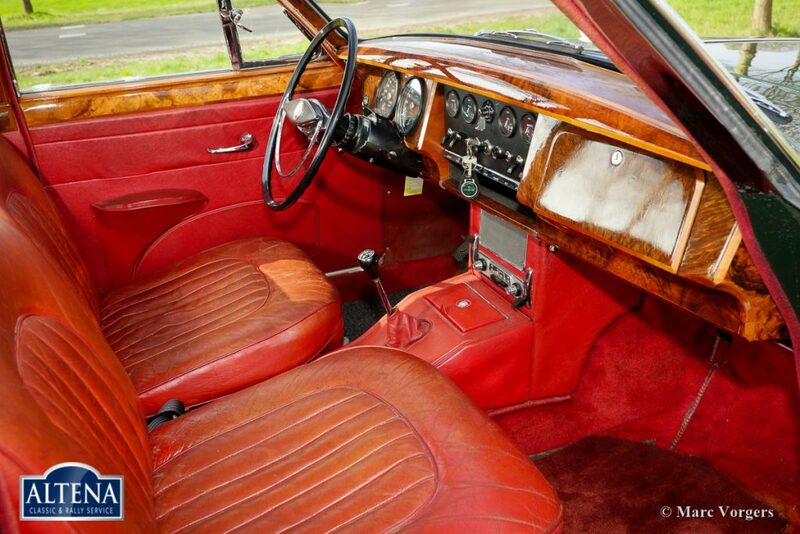 The leather upholstery and the carpet are good with normal signs of age and use. 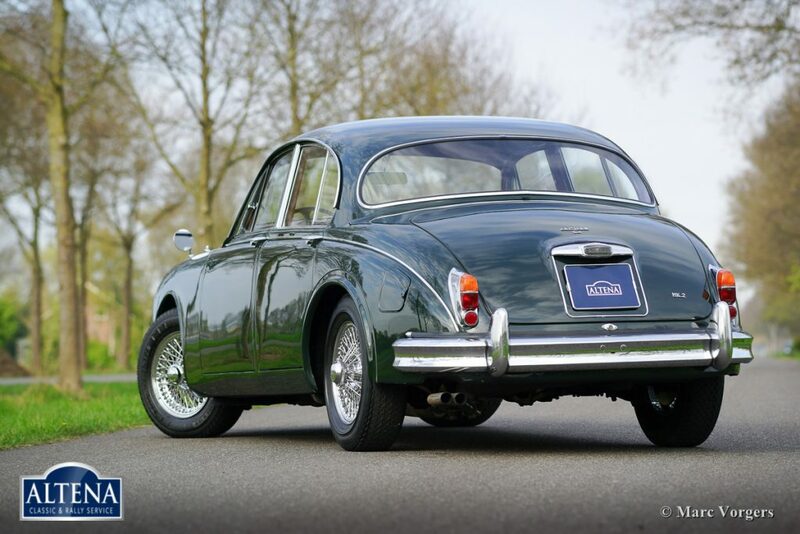 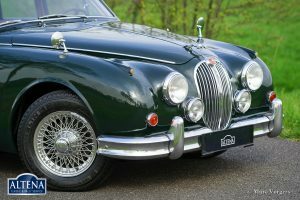 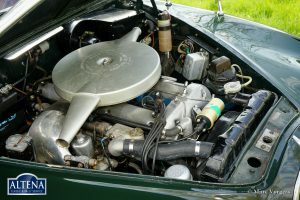 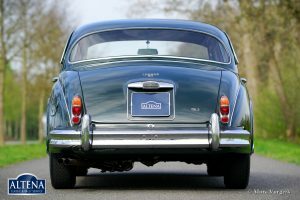 Mechanically this Jaguar Mk II has been serviced and maintained beautifully. The driving experience is perfect, this is a superbly driving original car which is fitted with a manually operated gearbox and overdrive! 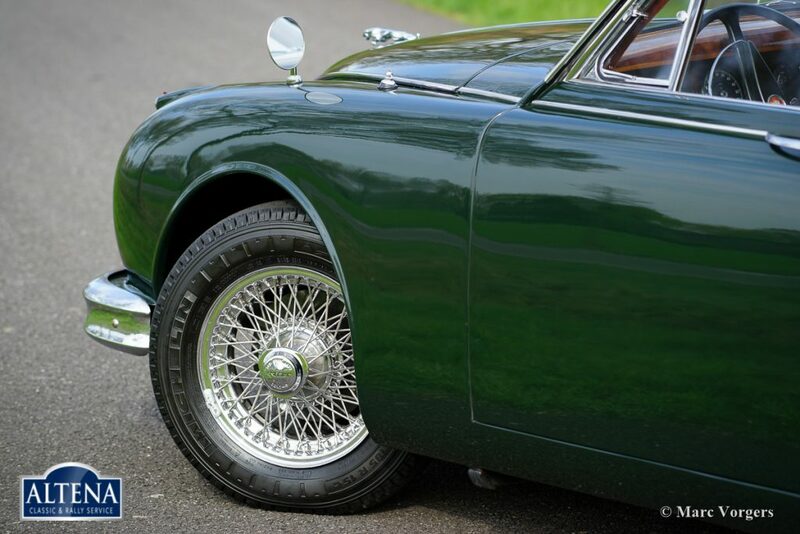 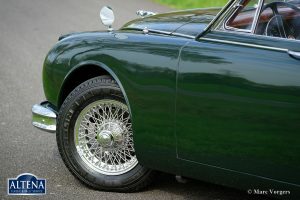 The car features chrome wire wheels and additional driving lamps at the front. 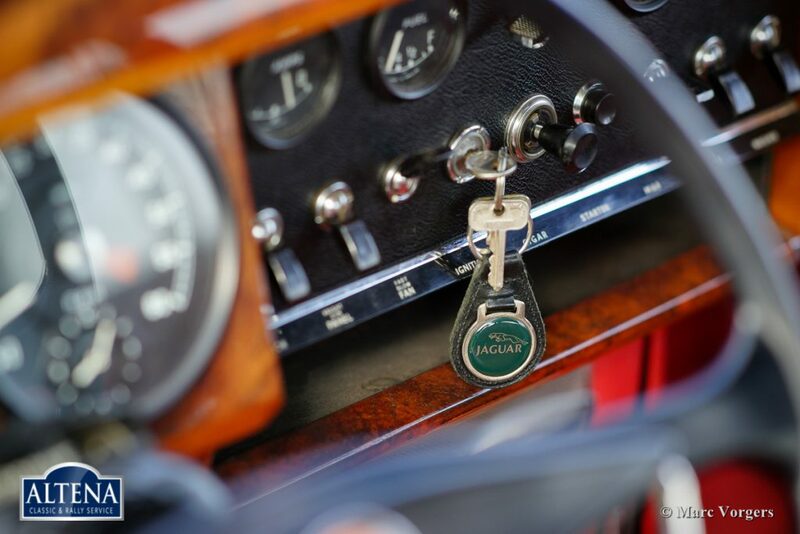 The original tools are present as is the original owner’s manual.